Son of the wine-making doyen of Crozes-Hermitage, Alain Graillot, Maxime was initially unsure whether to assume the family mantle, despite having studied at Dijon Wine School. The gauntlet was laid down with the inheritance/acquisition of 6.5 hectares just outside Pont de l’Isère in the heart of the Crozes Hermitage appellation; the challenge even more focused as the vines had been somewhat neglected. 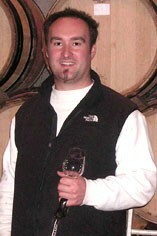 With patience and industry Maxime has transformed the vineyard and increased the planting density by a factor of 200%. In the winery he has a head start, sharing his father’s facilities, and ageing his wines in old Burgundian casks, and yet, interestingly, he has adopted a subtly different approach when it comes to the winemaking, specifically to the racking of the wine ( to separate it from the fine lees) and the extent and manner of the aging. As the vines come of age, so does the vigneron, and a string of excellent vintages proved his worth and to demonstrated that the Graillot dynasty is in very safe hands.